Gary Hall is Chair of the Board of Directors of the Municipal Securities Rulemaking Board (MSRB) and serves as Chair of the Steering Committee. Mr. Hall is Senior Managing Director, National Head of Investment Banking and an equity partner at Siebert Cisneros Shank & Co., LLC, where he is responsible for managing all bankers and leading the firm’s execution strategy for business development with municipal bonds underwriting, origination and financial advisory services nationwide. Mr. Hall’s professional career spans over 25 years and includes positions in government, law and investment banking. Prior to joining Siebert Cisneros, he was an executive director in the Public Finance–Investment Banking Group of JPMorgan Securities LLC. Earlier, he was a member of the Mergers and Acquisitions Group of Banc One Capital Markets Inc., and practiced law in the corporate finance department of Gardner, Carton and Douglas (now Drinker, Biddle and Reath). Mr. Hall also worked for the U.S. Department of the Treasury as a White House fellow under President Bill Clinton, and in the Mayor’s Office of Budget and Management for the City of Chicago. 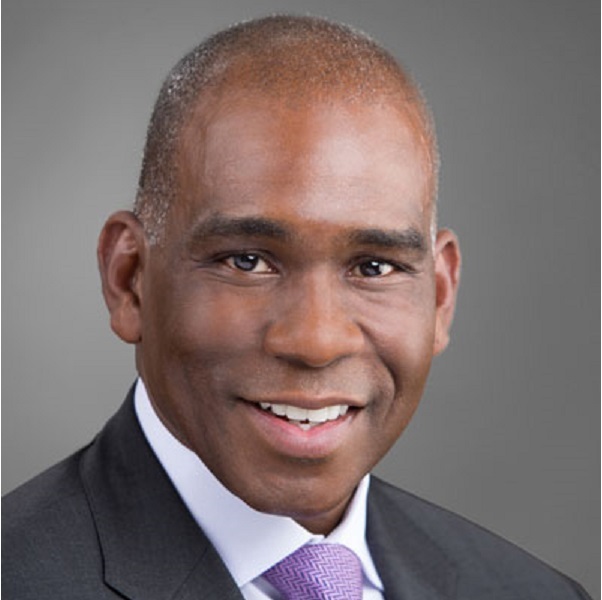 Mr. Hall is a member of the advisory board of the University of Chicago Harris Public Policy School’s Center for Municipal Finance, the executive committee of the Bay Area Council and a trustee for the Head-Royce School in Oakland. Mr. Hall received a bachelor’s degree from Howard University and a law degree from the University of Notre Dame.